As promised here's the first trailer for THE HUNGER GAMES. 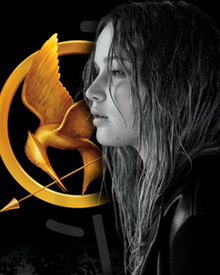 The film stars Jennifer Lawrence, Josh Hutcherson, Woody Harrelson, Elizabeth Banks, Liam Hemsworth, Donald Sutherland, Stanley Tucci, Lenny Kravitz and is scheduled to hit theaters on March 23rd. I'm digging me some Jennifer Lawrence!